In its seventh year, Dunsmuir’s Jazz in the Canyon will take place in the cooler days of autumn. 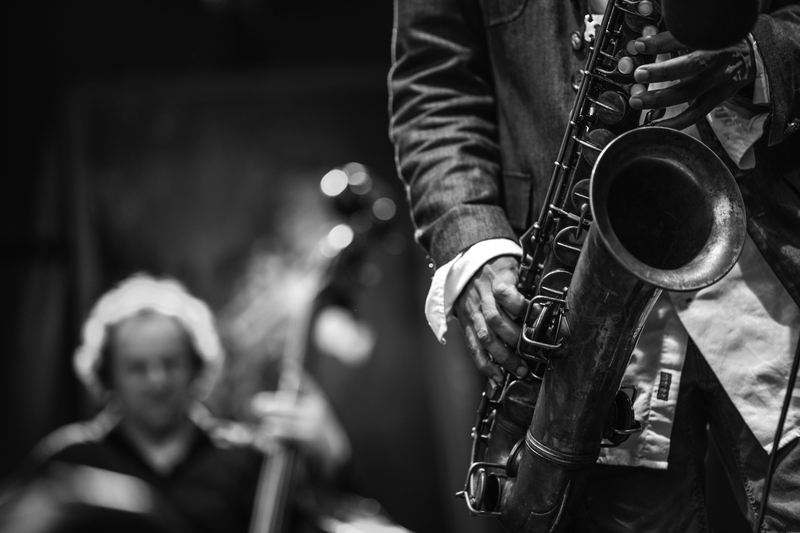 Each year, Dunsmuir comes together to celebrate one of America’s own true art forms – jazz. Multiple venues will feature artists that will perform jazz as well as some other styles infused with jazz. The Seventh annual Jazz in the Canyon will take place Thursday-Sunday, Sept. 27–30. Jazz in the Canyon honors the broad influences of jazz that mirrors the vast melting pot in American culture. Listeners will be treated to everything from blues to swing, bebop to gypsy jazz, smooth jazz to Latin jazz, some funk, and eclectic fusions of roots and folk music infused with jazz. Sponsored by First 5 Siskiyou and hosted by the Dunsmuir Community Resource Center, this year’s event will also highlight music for children, stated Allison Scull of Allison and Victor. Highlights include blues hall of famer Terry Robb who will perform acoustic finger-style blues; The Ed Dunsavage Trio of Ashland, Oregon; Nightsong featuring chanteuse Kim Niles; The Lone Arranger with Kevin McDowell; and Latin finger-style guitarist Rick Garrett. For a special Jazz in the Canyon ending, Allison and Victor with the Midnight Band and the Charles Valona Trio will perform separately and culminate in a grand finale together. Participating venues that will feature live music in 2018 include Pops Performing Arts and Cultural Center, the Dunsmuir Brewery Works, the Siskiyou Arts Museum, La Perla de Nayarit Mexican Restaurant, The Pizza Factory, The Cornerstone, Alpine Realty and Dunsmuir Hardware. A Wine and Paint Night with Yolanda Kruger of eXp Realty California also invites one to sip on wine while painting on easels. The theme of the paint event is jazz, but participants may paint anything their heart desires. Wine, canvasses, acrylic paint and supplies will be provided. Her sister, Allison Scull, also an event coordinator adds,“Here is the current schedule, but we encourage people to go to the website for updates. As the event gets closer more people get in the spirit. There is also a lot of information about the artists. It is exiting to highlight music and culture in our small town” All activity will occur in the downtown area of Dunsmuir. Prices vary. Visit www.jazzinthecanyon.com for artist information and maps. Certain local businesses will offer some special discounts in the spirit of Jazz in the Canyon. ‒ Rapunzel’s Hair Salon: Make an appointment during Jazz in the Canyon for a 10 percent off manicure or pedicure and 20 percent off haircuts. Mention Jazz in the Canyon to redeem. Salon will be open Thursday-Saturday from 10 a.m.–4 p.m.
‒ Lennan’s Junktion (a very cool antique store) is offering a 25 percent discount during Jazz in the Canyon. Just mention Jazz in the Canyon to redeem. September 30 will be its last day in business. ‒ The Ol’ Thyme Tattoo will be offering $25 musical note tattoos for Jazz in the Canyon. ‒ All Aboard Espresso will be offering coffee drinks named after Jazz greats. ‒ Ted Fay Fly Fishing Shop will be offering a 10 percent Jazz in the Canyon discount.